To get a feel for the La Bellezza difference, you must start by pronouncing the name correctly: la-baa-let-za. It means beauty in Italian! And what a beautiful community it is. 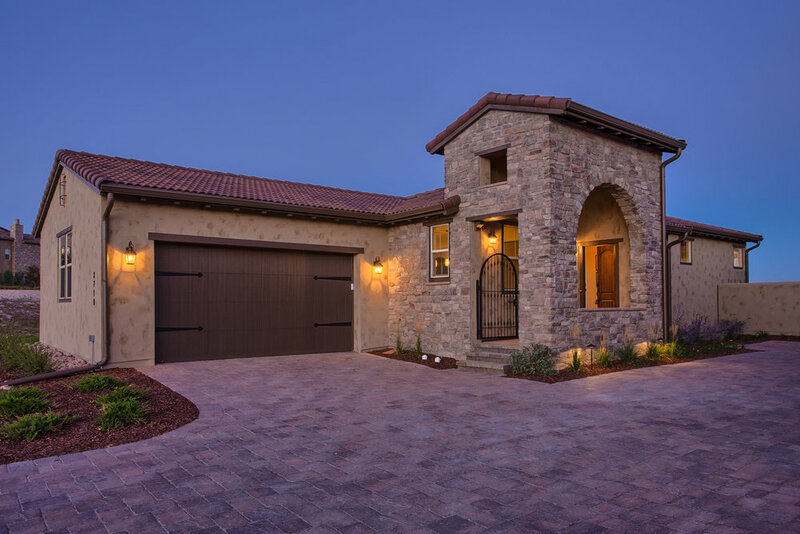 The Tuscan-like architecture is flawlessly executed, unlike anything you’ll find elsewhere. And the indoor/outdoor courtyard living is a perfect complement to our Colorado climate. It is truly a special way of living in Colorado Springs. Here are the ten reasons we love La Bellezza and know you will, too. Low-maintenance living. La Bellezza is a master-planned community offering professional HOA management, covenant enforcement, architectural design guidelines, snow removal at villa sidewalks, motor courts and common areas and weekly trash and recycling service. Indoor-outdoor living. Multiple indoor living spaces in each Villa flow seamlessly to private outdoor living spaces - courtyards - that are perfect for everything from enjoying your morning coffee to entertaining friends and family. It's an ode to Italy's al-fresco living and an easy way to appreciate Colorado's 300+ days of sunshine a year. Main-level master suites. Each of our award-winning Villa floorplans boast spacious main-level master suites with additional bedrooms available in the included finish lower level. Generous kitchens. Whether you're a gourmet chef or a weeknight-meal-making warrior, you'll find our kitchens to be more than beautiful - they're smartly designed with ample storage, versatile workspaces and high-end appliances. Old-world charm. La Bellezza's Italian architecture creates a welcoming, cohesive streetscape with charm and personality. It's unique yet timeless. Artisan quality. From the hand-troweled fireplaces to six-foot-soaking tubs, each Villa is created with the finest materials. The "standard features" feel anything but standard. Detached accessibility. La Bellezza offers low maintenance living like a patio-home, but each Villa is fully detached and smartly designed to preserve privacy. Community features. La Bellezza Peregrine has play spaces and tennis courts within a short stroll; a bocce ball court anchors La Bellezza Pine Creek and one of the region's most desirable public golf courses is nearby. Both are surrounded by protected natural landscapes, walking trails and everyday conveniences like shopping and dining. This community has sold out. Please contact us to learn about our other low-maintenance communities. Sep 11, 2017 Parade of Homes Winner! May 15, 2017 Coming Soon: Cumbre Vista!